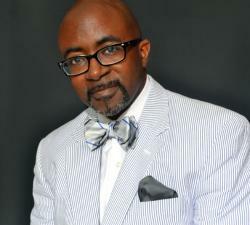 BLACK ENTERPRISE will hold its 2013 Entrepreneurs Conference + Expo hosted by Nationwide Insurance on Wednesday, May 15 through Saturday, May 18 at the Columbus Convention Center in Columbus, Ohio. An annual highlight of the conference is the presentation of the nation’s top award for African American business achievement, the Arthur G. Gaston Lifetime Achievement Award. This year, the A.G. Gaston Award will be presented to RLJ Companies Chairman, BET Founder and America’s first black billionaire Robert L. Johnson at the BE 100s Dinner and Awards Gala, to be hosted by The Ohio State University and Limited Brands on Friday, May 17, at the convention center. 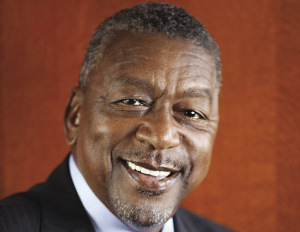 Master wealth builder Robert L. Johnson, founder of The RLJ Companies, made business history when he took BET public in 1991, making it the firstÂ black-owned company traded on the New York Stock Exchange, 11 years after he founded the cable network in 1980. This would be far from the last of the “firstsâ€ Johnson would achieve on his way to being named No. 2 on Black Enterprise’s list of “Titans: The 40 Most Powerful African Americans in Businessâ€ in the 40th anniversary issue of the magazine. In 2000, after taking BET private again, he sold the cable network to Viacom for $3.2 billion to become the first African American billionaire. He acquired the Charlotte Bobcats in 2003, creating the first black-owned NBA franchise. Johnson sold the Bobcats to NBA legend Michael Jordan in 2010, but continues to hold a minority stake in the team. Johnson has also launched a plethora of other ventures under the RLJ banner, including RLJ Equity Partners, ranked No. 11 on the Black Enterprise 100s list of the nation’s largest black-owned private equity firms. The A.G. Gaston Lifetime Achievement Award is named for Arthur G. Gaston, the legendary entrepreneur and one of America’s first black millionaires, who went from being born into poverty in 1892 in the Deep South, to building a business empire spanning communications, real estate and insurance during the height of Jim Crow segregation in Birmingham, Ala. Gaston, who passed away at age 103 in 1996, was named Entrepreneur of the Century by Black Enterprise in 1992. DON’T MISS OUT! Join more than 1,000 outstanding entrepreneurs and top business experts at the 2013 Black Enterprise Entrepreneurs Conference + Expo hosted by Nationwide, May 15-18, at the Columbus Convention Center in Columbus, Ohio. Expect innovative sessions, high-powered speakers, and an early peek at the products, trends, and services you’ll need to stay ahead of the curve. To register and find out more, follow the hash tag #BEEC on Twitter, “Likeâ€ the Black Enterprise Entrepreneurs Conference on Facebook and visit www.blackenterprise.com/ec!